The Department of Buddhist Affairs stated that the documentation of statements from both parties involved in the altercation that occurred at the Kataragama temple in August has been completed. Officials from the Department of Buddhist Affairs stated that the report complied on the incident will be submitted to Minister Gamini Wijayawickrama within the next two weeks. 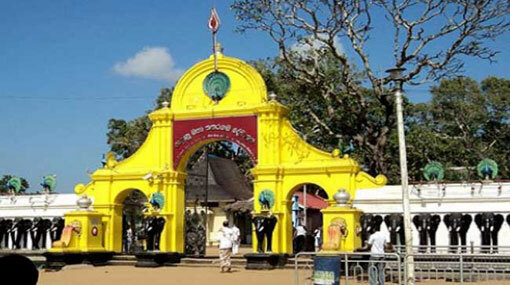 It was reported that the morning religious rites at the Kataragama Devalaya had been delayed on August 22, owing to an altercation. The altercation had reportedly occurred among the Kapumahaththayas when they were attempting to open the door to the Maha Devalaya. The Kapumahaththayas of the Kataragama Devalaya state that the Basnayaka Nilames had refused to supply them with the keys to the door.